I thought I would share them. The Marie was my Grandfathers boat and the other was my Great Grandfathers boat. The only date I had on any of the pictures was 1914. Wow, Marie sure had a beautiful sheer line. Those canopies where very practical to for shading the boat. Weird.... I wonder why I love those boats so. They make me smile. Marie is sweet. Big canopies must run in the bloodline. Your right about that. I never noticed until I posted them here. I wish I had more pictures of the inside. Paul, that is a great family tradition that you are continuing. Your ancestors would be proud to know that. My grandfathers boat was a 3 masted schooner, commercial fishing boat. I wish I could find a picture of her. Sadley I don't think any exist. 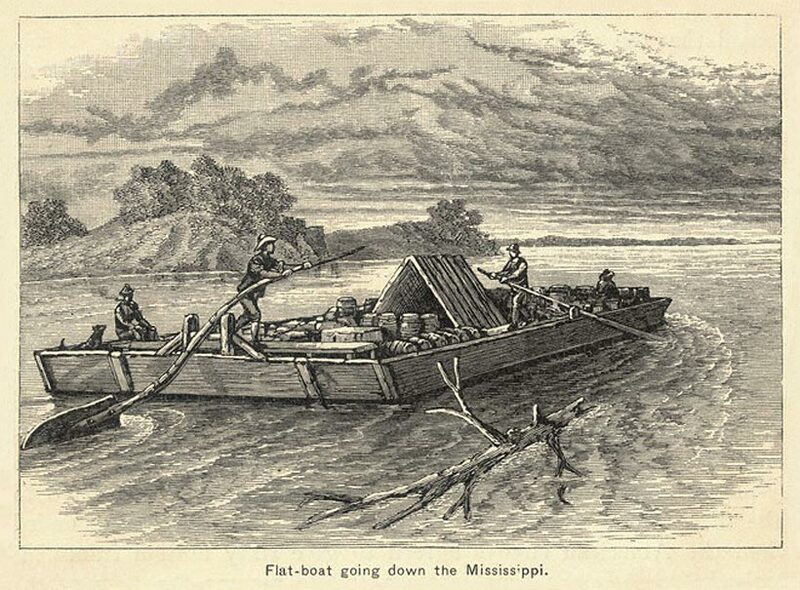 My ancestors in about 1835 after the Indian territory was opened to settlement came down the Tennessee River in flat boats similar to this. (no actual pictures of course). The oldest grave I have found has a birth date of 1775. Here is a similar type boat. In 1914, those were not just ordinary boats, they were very large, very expensive yachts in every sense. Obviously some money in the family. I am certain your Grandpa's would be proud to see the Cajun Rose & to know their great grandson is carrying on with the family tradition. 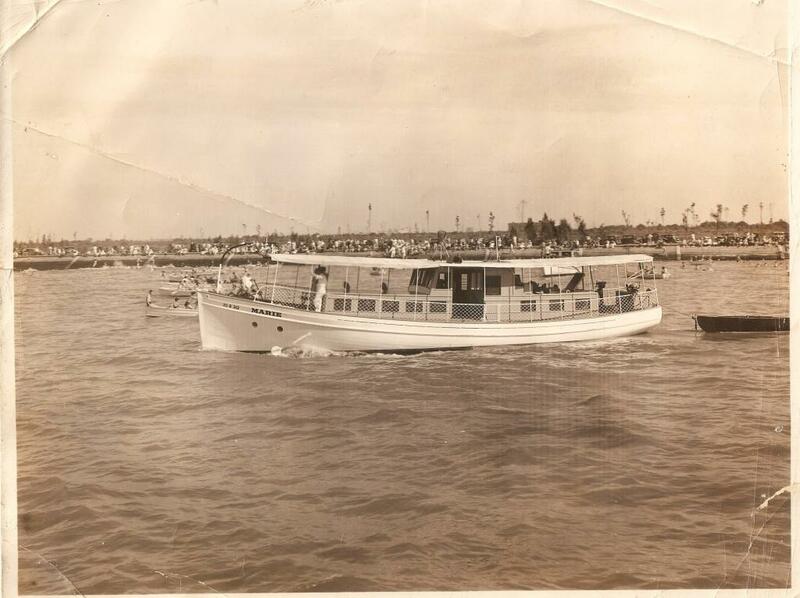 I too am a 4th generation boat nut but alas my families boats were considerably more modest. Note in the first photo they appear to be dragging the ray?